You are free to consult any of the doctors or nurses. However, it is often beneficial to see the same nurse or doctor for an ongoing problem. A chaperone is available for personal examinations. Would a telephone call from the doctor or nurse suffice? The receptionist will arrange the call but please wait by the phone. Is it urgent - really urgent? We will always see urgent patients the same day, but please do not abuse the system. Please note: the receptionist will ask you the nature of the problem you are ringing about so it would be helpful if you could say in order for you to be seen by the appropriate clinician (GP, Nurse etc). The practice nurses also see patients for pill checks, IUD checks, HRT checks, diabetes, asthma, new patient medicals and cervical smears. We can offer appointment bookings as early as 6 weeks in advanced. 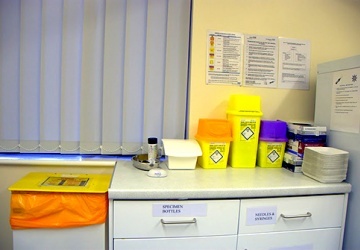 Please note: we have only one GP, one Nurse/HCA and one Receptionist on duty during this time so it will not be possible for you to access our full range of Receptionist services such as: booking of appointments, requesting prescriptions or test results. The telephone lines are not open on a Saturday during morning surgery as weekend cover is provided via NHS 111. Patients attending for an Appointment are asked to ring the door bell when they arrive and the Receptionist will provide access. This can be done by phoning any site, attending in person or by the internet. Please ask at reception for registering for our internet service to book appointments online at Patient Online Services. When you call in the morning for an emergency/on the day appointment we will take your number and you will be called back by a doctor who will discuss the matter briefly and allocate you an appointment. If the matter can be dealt with over the telephone then it will, saving you time and perhaps unnecessary inconvenience. Medway Clinical Commissioning Group are now providing additional extended access GP appointments at three locations across Medway. GPs at these locations have access to your full medical records and they can provide routine GP consultations. These appointments may be suitable or convenient for patients who can travel or looking for appointments outside of your local surgery opening times. To book an appointment at one of these locations please contact the surgery and discuss with a receptionist. Sometimes you may want to talk to a doctor or nurse. It is helpful to let the receptionist know the nature of your query, so that we can have the relevant information available. We will ask you for a telephone number and phone you back. On occasions we may wish to film consultations between doctors and patients. These can help us to assess our consultation procedures and are only used for teaching purposes. Filming will not be undertaken without the patient’s express consent. 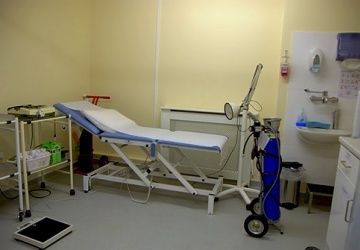 Intimate physical examinations will never be recorded and the camera can be switched off at any time on request.